Here’s what’s up in the world of TV for Tuesday, April 25. All times are Eastern. 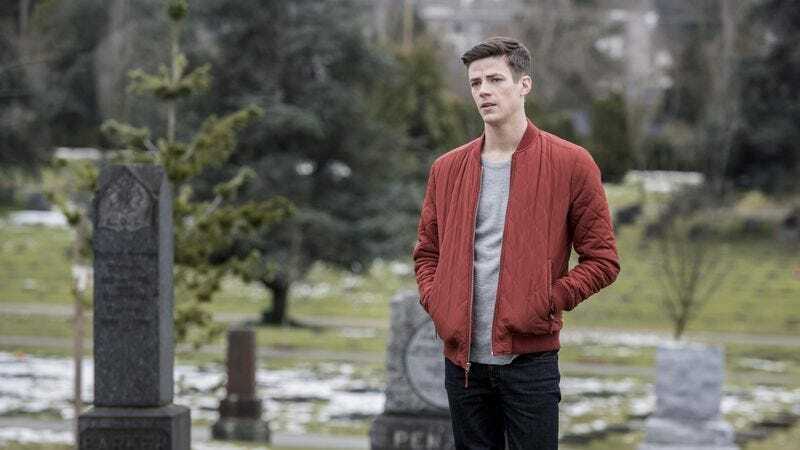 The Flash (The CW, 8 p.m.): The Flash is back from hiatus with some time traveling in an adventure directed by H.R. Wells himself, Tom Cavanagh. In the first episode since March, Barry is heading to the future to investigate Iris’ death and figure out who Savitar is. Scott Von Doviak will see how this journey plays out. Great News (NBC, 9 p.m.): NBC is debuting a charming new comedy from 30 Rock alum Tracey Wigfield tonight. Andrea Martin and Briga Heelan star as a mother and daughter who start to share a workplace when the former gets an internship at the news program where the latter works.